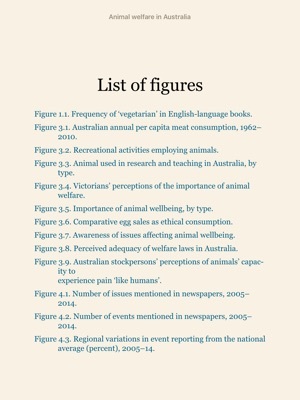 The issue of animal welfare has attracted much attention in Australia in recent decades. 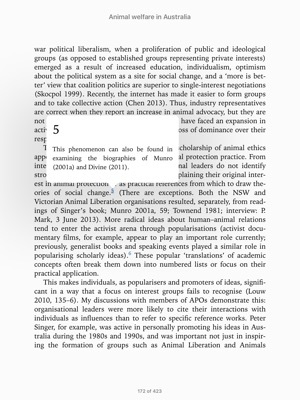 Activists and welfare organisations have become increasingly vigorous in promoting a new ethical relationship between humans and animals, and in challenging practices they identify as inhumane. 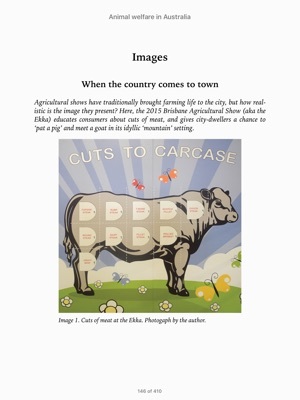 In 2011 this agitation culminated in the temporary suspension of cattle live exports, with significant economic and political implications for Australia. Similar campaigns have focused on domestic food production systems and the use of animals in entertainment. Yet despite this increased interest, the policy process remains poorly understood. 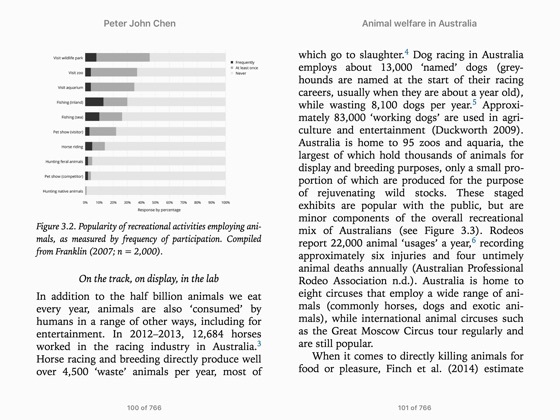 Animal Welfare in Australia is the first Australian book to examine the topic in a systematic manner. Without taking a specific ethical position, Chen draws on a wide range of sources – including activists, industry representatives and policy makers – to explain how policy is made and implemented. 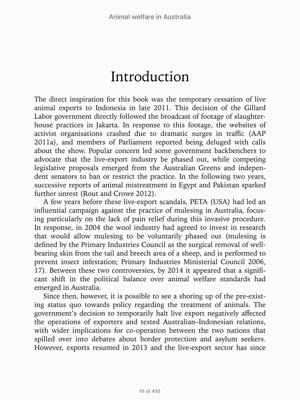 He explores the history of animal welfare in Australia, examines public opinion and media coverage of key issues, and comprehensively maps the policy domain. He shows how diverse social, ethical and economic interests interact to produce a complex and unpredictable climate. 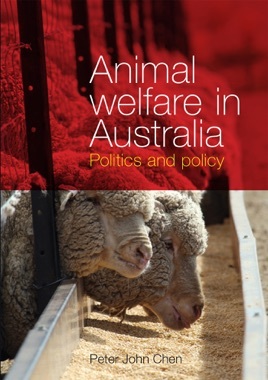 Animal Welfare in Australia will be of interest to scholars and practitioners of public policy, those interested in issues of animal welfare, and anyone wishing to understand how competing interests interact in the contemporary Australian policy landscape. Peter John Chen is a political scientist at the University of Sydney who works on Australian politics, political media, and public policy.